The Allegro Economy Work tent offers quick and easy set-up as it springs from backpack into full size in seconds. This tent is made from water-resistant, flame-retardant and UV-treated nylon and features 360° reflective striping. 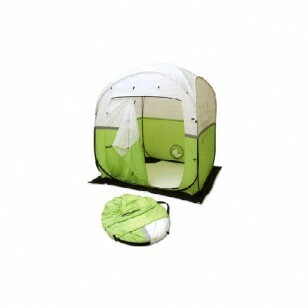 Comes with four external straps for securing and ties down on all four corners. For better stability and structural strength, this tent has two fiber floor-to-floor poles. 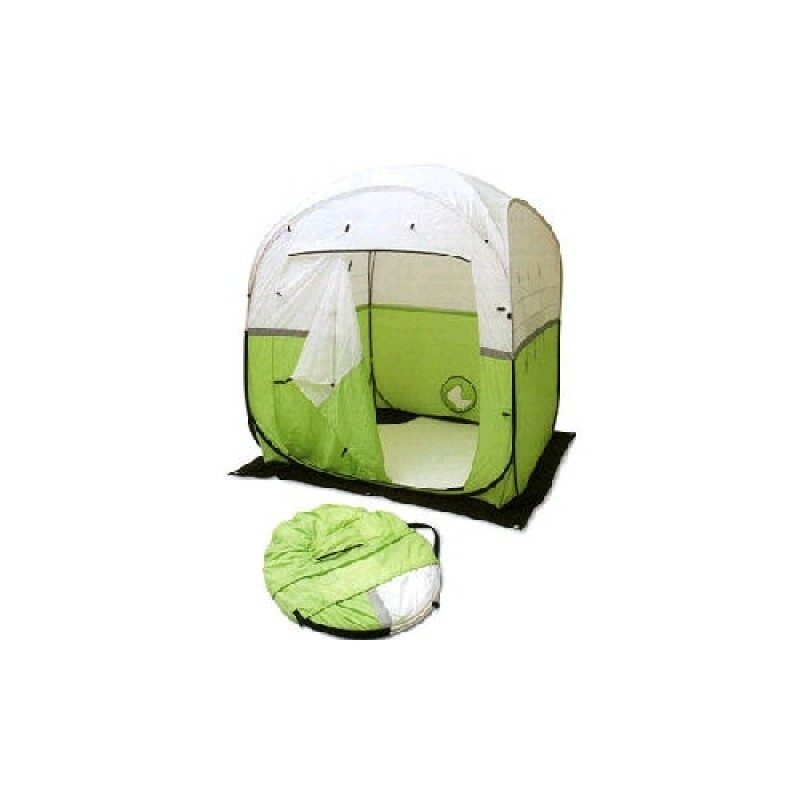 This economy work tent also features one large door and two large windows that offer easy access for workers and equipment. The open bottom allows for protection while working over manhole covers or excavation sites. Included with the tent are twelve yellow 9" plastic stakes, and 10" diameter hose vent in the rear for use with blower or heater hose. Comes in high-viz green for greater safety. Meets CPAI-84 Standards.